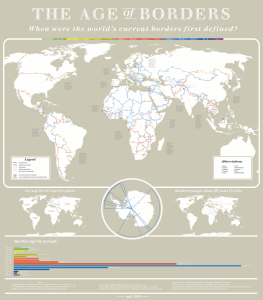 Map created by reddit user PisseGuri82 The map above is a stunning piece of work that shows the when each of the world’s international borders were first defined. Map created by -kayac- via Wikimedia The map shows the commercial and territorial expansion of the Republic of Pisa in the early 12th century. One of history’s great, but slightly less famous, maritime commercial empires.